With the final season of Game of Thrones scheduled to air starting next week, Warner Bros. International Enterprises’ Game of Thrones: Conquest continues to grow strong among MMORTS players on both Android and iOS platforms. Loaded with intricate city-building, farming, and strategic battle systems, the game leaves plenty of offerings for players to explore and enjoy. 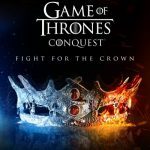 Although the game has been around for almost 2 years now, Game of Thrones: Conquest continues to keep its mark on top 100 free and top grossing games in several countries. Game of Thrones: Conquest holds many of the typical game aspects and mechanics you will find in popular MMORTS games and mixes those with several unique features of its own. If you are totally new to playing the game or still trying to grasp the basic concepts you need to fully understand to jumpstart your game, be sure to read our beginner’s guide for tips and tricks aimed at helping you get started on the right track as you jump into the game. At this point, we will be focusing on tips and strategies more suitable for players who have played the game for a while and have already been through the basic gameplay mechanics covered by our beginner’s guide. 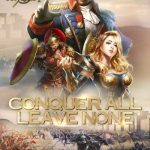 Just the same, feel free to read on through even if you have just started playing the game as some of the tips and strategies we will discuss can be very helpful to both new and experienced players alike. You will naturally start out with only 1 each for the farm and sawmill and as you progress through the game and accomplish one quest after another, more structures, and higher levels for each one will be made available. It is important to know at this point in time that following the quest objectives lead to much faster progress in the game but there won’t be any mention whatsoever that you can build more than one of these basic structures moving forward. There are also dependencies as to how many you can build and how far you can upgrade each structure in Game of Thrones: Conquest but for both the farm and the sawmill, their maximum numbers are based on the level of your keep. Be sure to keep an eye out for this as you would want to build as many of these structures to exponentially boost the amount of basic resources they can produce over time. As soon as you can build an additional one, prioritize doing so and considering that you level each one up to level 3 with practically free instant completion, do that as well. Likewise, the number of War Camps you can have also depend on the level of your keep and though it won’t contribute to generating additional resources, having more war camps and keeping them at the highest level you can upgrade them to will boost your training capacity as well as training speed. As you constantly need to be training more people for the battles ahead, it is best to speed up the training process as early as possible. In just a matter of minutes playing into the game, you will soon be able to build a Smithy in your city. This is a very important structure you must pay close attention to as the equipment you can craft here can tremendously boost your city’s production and training capabilities as well as increase your army’s attack and defense stats. Although you will spend a long time only being able to craft the most basic pieces of level 1 equipment, more options to customize your strengths following your preferences and play style will come once you have ingredients for level 5 and level 10 gears. Each piece of equipment you craft can have unique attributes based on the quality of materials you use. For best results, keep in mind that you can synthesize materials to upgrade them to the next level. Materials can be gathered by defeating various enemies on the world map and the rarity will mostly depend on the level of enemies you battle. As such, always take not of your army’s power relative to your target’s power before you even initiate a march. As your army continues to grow in power, having a little more than an enemy’s power is a good sign that you can take them on. When you have that much higher power compared to the level of monsters you regularly hunt, search for higher level enemies on the field. One of the best perks you can get from quests, daily missions, and the port comes in the form of resource boxes that winds up in your inventory. Opening these boxes instantly gives you specific resources like food, wood, and steel. Although you can use these boxes at any given time, keep in mind that regardless of how powerful you are, there will always be more powerful players all around you and, as such, it is always wise to play a lot more defensively throughout the game. With that objective in mind comes the task of always protecting your hard-earned resources and in most cases, especially if you are very active on the resource-generation and farming aspect of the game, you will collect and amass more resources than what your storage can protect from potential pillagers. You will initially be having more of the basic resources than you will typically need for production and upkeep. As much as possible, try other means of securing additional sources of these basic resources like gathering from nearby resource points and going online more regularly to claim what your resource structures have generated over time. If it comes to a point when you need a certain resource for whatever activity, make sure to only consume resource boxes to obtain what you need for specific activities. Keeping resource boxes will be very helpful to you in instances where you have been attacked and most of your resources taken. You will be left with what’s in your storage, but again, that won’t be much for you to recover and be back to your previous capacity. Like building, upgrading, and training, initiating researches at the Maester’s Tower is among the activities you need to constantly engage in to hasten your progress in Game of Thrones: Conquest, much like in any MMORTS game. Although prioritization as to which field you choose to progress first depends on your personal preferences, what matters is to keep a close watch on research time so you can lodge in another research as soon as the current one completes. As a general rule, though, go for research items that take the shortest time to complete while you are planning to stay online and save the longer ones for when you will take a long break from the game. Likewise, if you plan on spending a lot of time playing the game a lot on a particular day, use items that can unlock an additional maester for that day and utilize it as much as you can by conducting two consecutive researches at a time, preferably with both having the same completion times. While waiting for several structures to finish their respective tasks and you are just sitting idle, be sure to take some time and explore all possible researches and upgrades as much as you can. Although much of it will remain locked initially, take note of the best path you need to take to get to the researches you want to perform. Some may be dependent on structure levels or similar achievements and milestones, so make sure you constantly have a goal in mind to push for as you make progress in the game. Scouting is a natural prerequisite of any attack you launch against other players. Despite kingdom levels, there will never be any sure way to determine an enemy’s strength unless you scout first and review the details of the report you receive prior to deciding if you will pursue an attack or proceed on to look for other viable targets. Likewise, scouting will give you a good idea if the enemy kingdom is worth attacking at all as the player may not even have enough resources to plunder in the first place. On the other hand, you will immediately know that someone has scouted you as a notification will appear under the message center. Naturally, you can prepare well before defending for an attack and can even call for help from your allies if any are available. This is what you should also consider as you scout enemy camps in your attempt to secure more prestige and resources from other players around you. Although in some cases it can be relatively easy to determine which ones are active or not, being prepared for the worst case scenario will work best for you in the long run. As you successfully receive details of an enemy kingdom as a result of scouting, prepare yourself for all possible scenarios before you initiate an attack. Most players can gain allies immediately so never assume that no one will come to his aid when you attack. Additionally, also prepare yourself for potential counterattacks not just from the player himself but also from his allies. While you still have an active Peace Shield up to protect your house from potential attacks, you can always freely send out your troops at max capacity and leave no one at your house. Later in the game, though, you will have to be more practical in terms of managing all your troops and send out only a fraction to deal with the task at hand. If you will march an army towards monsters for crafting materials farming, then only send enough to match the power of your target. For occupying gathering spots for basic resources, only send out select troops that have a higher carrying capacity. In either case, be sure to always leave enough to man the defences in case of a surprise attack from surrounding players. 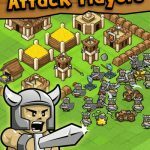 There are various defensive artillery that you can create much like the troops you send out to fortify your house’s defensive capabilities. Unfortunately, with no troops left at your base camp, traps and other defensive artillery will not activate. As such, maintain a good ratio of troops back home and if it is extremely necessary for you to send an all-out march, at least leave 1 unit to utilize traps at your house. 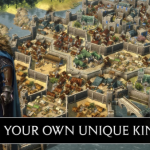 Unlike in other MMORTS games and similar online games that provide a wide variety of quests and activities revolving around guilds and alliances, the Allegiance System in Game of Thrones: Conquest works a little differently in that while gifts may be sent and received following purchases of certain packs from the store, all other advantages come as a result of being in a very active allegiance with both liege and bannermen in constant communication with one another. As such, if you are a member of an allegiance that almost always has an empty space in chat, then chances are that you are not in a very active one. Regardless of how strong and active you are in the game, being in an uncoordinated liege, more so an inactive one, will make it very difficult for you to survive the game. It is essential to at least be in one where more people coordinate as to how they go about attacking the same house or defending themselves and one another from enemies and enemy alliances. As allegiances prosper, schedules should be developed to protect it round the clock as no single player can keep watch over his house all the time. As you may already know about the teleportation of your house which you can do following a variety of reasons, one good strategy is to move in close to your liege and even possibly, near some of your bannermen as well. Doing so will make it easier for everyone to defend one another as well as launch simultaneous attacks on an enemy house. At some point in the game, you may find that you have grown more in power compared to your liege and if that is coupled with not much activity from your current allegiance as well, then you may want to consider moving on to another. There is a liege finder available in the allegiance menu and by using it, you can easily be provided with a long list of potential lieges you can switch to. You can also refresh the list if none of the ones presented impress you enough to join in. Be sure to click on potential ones to view additional details that could help you decide better on whether or not to switch allegiances. A common method of boosting one’s progress in mobile MMORTS games is through using alternate accounts with the sole purpose of “feeding” your main account. This same cheat of a sort can easily be set up in Game of Thrones: Conquest and all you need to have is an extra device or a PC with an emulator that can sufficiently run the game. The idea is to play one or more alternate accounts with the exclusive purpose of acquiring resources for the main account to plunder later on. Similar to all that you can gain from attacking and plundering other houses, having an extra “farm” account makes it so that wins are guaranteed and gains from resources are always great. To set up, simply makes it so following what you would consider as a perfect target before you initiate an attack. Make the farm account gain as many resources as it can, with not much storage capacity, and have all its troops out on errands while you attack it and plunder its riches. It can go well beyond a one-time strategy as you can continue to farm on the alternate account and event gain Peace Shields to put up as a defense from everybody else while amassing more resources for your main account. And that wraps up our Game of Thrones: Conquest advanced guide. We hope you were able to discover or realize some new strategies to incorporate into your own ones as well as enjoyed reading through it. As far as tips and strategies go, keep in mind that your rise to power in this game, much like in any game within the genre, is largely based on the time you spend on it. Even short, intermittent log-ins just to keep your structures busy with upgrades, training, and research can go a long way throughout the course of your play and efforts for coordinated strategies will pay off as well. If there are some relevant tips or strategies you feel ought to be included in our guide, don’t hesitate to drop us a note in the comments!